Have the best Taxi or Limousine service in Cannes Port Canto, Port Vauban, Port Gallice, Nice Monaco Fontvieille Cannes Port. Mercedes 350 Class S, Class E, Viano Minivan or buses from and to Nice Airport with high quality private taxi service or Limousine. 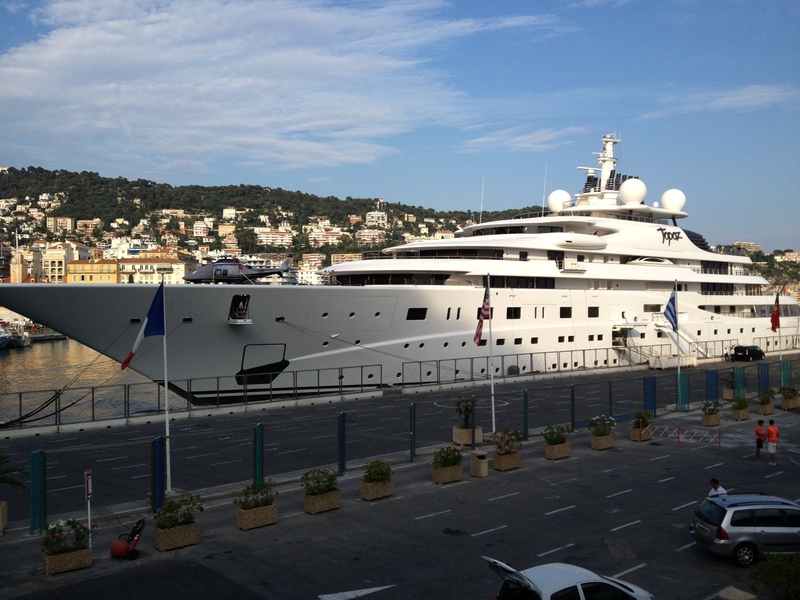 Rolls Royce and Bentley available for Topaz boat in the port of Nice yesterday. This entry was posted in Limousine Fontvielle Monaco Port Nice Airport, Limousine Taxi Cannes Port, Taxi Limousine Antibes Juan Les Pins Port and tagged Limousine Nice Airport Monaco Fontvielle Port, Limousine Nice Airport Port Antibes, Limousine Port Vauban Antibes, Limousine Topaz Boat, Lincoln Stretch Nice Airport Monaco Port, Taxi Nice Airport, Taxi Port Canto Cannes, Taxi Port Gallice Juan les pins, Taxi Port Vauban Capitainerie ANtibes, Topaz Boat. Bookmark the permalink.